I didn’t have much hope for this movie, but it didn’t mean that I wasn’t interested in seeing it. For the lols, you know? It was an alright movie, nothing fantastic, but I think of many worse movies to waste time on. This one also had a cast that intrigued me, and they all did a relatively good job. It was good to see Michael Caine again, but disappointing that there is nothing fresh and new to bring to the table with his character. Vin Diesel doesn’t shock, either, and delivers the performance you expect from him as well as the character he represents. It was crazy strange to see him in all the scenes from back in the day. My husband was immensely disappointed when the movie flicked from the past into the present as we know it, he thought he was totally in for something else. 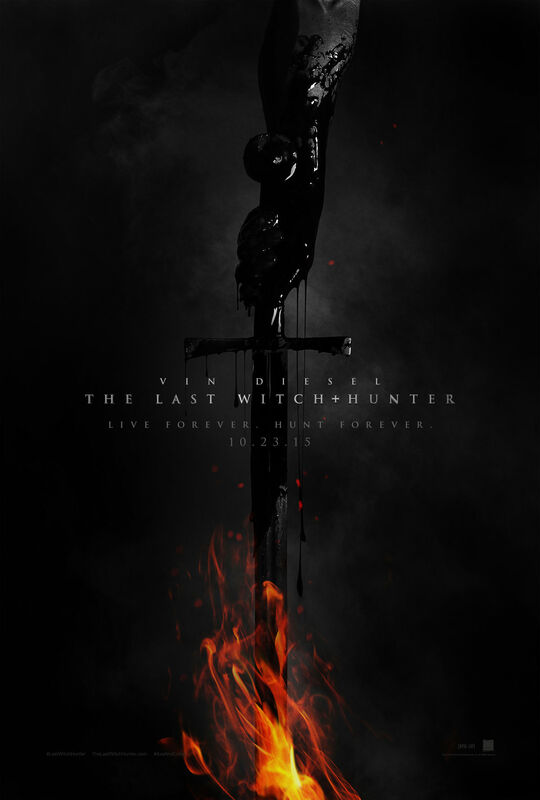 However, it isn’t a bad thing that the movie was set in the present because the effects for the past and the sets and all were just… not good at all, but I could understand his disappointment when he thought he was getting this badass film about with hunters with swords and old school and stakes and all that. Nope, it was just not meant to be. Rose Leslie is, of course, beautiful, and holds her own here, though I feel that the role was somewhat beneath her talents. The movie boasts some terribly corny dialogue, this has to be stated. Like, there were times I cringed, times I actually just laughed, and other times I rolled my eyes. I think if people take this seriously, they are going to hate it. If they just want something to pass time and turn their brains off for, you can do worse (though granted, you can do plenty better, too). It’s just an average film that doesn’t break any boundaries, and never strives for brilliance, which is the pitfall. Oh, and some dodgy screenwriting. This entry was posted in Movies and tagged could have been better, Elijah Wood, magic, Michael Caine, movie reviews, movies, okay, Rose Leslie, Vin Diesel, witches. Bookmark the permalink. Bestie! I am so amused you watched this – I could have told you you’d hate it (because M’s boyfriend LOVED it). I think it is probably totally Vin Diesel, and like you said, not awful but dodgy. I’d probably watch it someday, coz I love me some Vin. OH GOSH. That explains SO MUCH! Exactly – Vin Diesel is always entertaining – dodgy or good, it doesn’t matter at all hahaha. You might be amused by this. Not love, just amused with the content haha. Nice! I always wondered how this franchise was. I kind of didn’t pay attention to Vin Diesel in anything outside the F&F franchise. I think I saw the first Triple X movie and thought that was pretty lame. I may just skip this too even if it’s not the worst of the worst. Too many other good things to watch that I desperately have been getting behind on….. *cough cough* Stranger Things. Thanks! Yeah, it was alright, not amazing, not terrible, and there are far better things out there to get to *cough cough* Stranger Things. LOL! Yeah, I find Diesel to be entertaining, so I usually check things out that feature him. I didn’t even see the first one. Now that you mention it, neither did I! I passed on this, I would much rather see Vin in another Riddick movie. At least there his Bromx accent doesn’t feel out of place, lol. Hahaha, that’s true! This was just a mediocre film all round. Okay, not brilliant, not super awful. Thanks! Totally not something worth rushing out for, that’s for sure! Aww, I loved this one. Pure cheese! Absolutely a cheesy one haha.